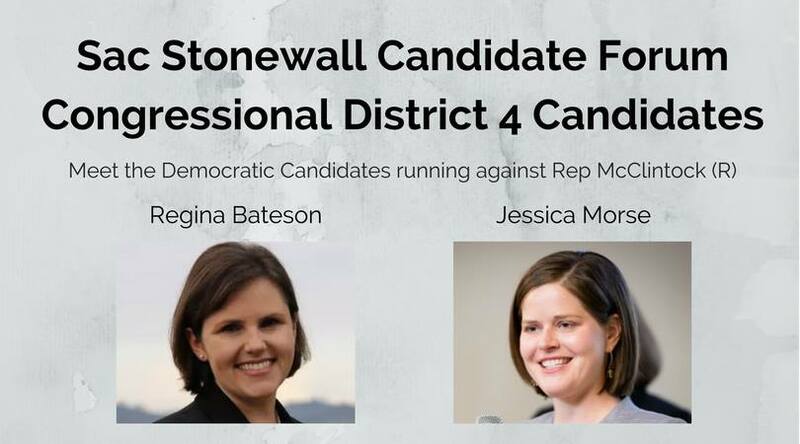 Sacramento Stonewall Democrats hosted a Candidate Forum with the Congressional District 4 Candidates on October 9th with Candidates Regina Bateson and Jessica Morse. The candidates introduced themselves to Stonewall members and answered questions for membership. Congressional District 4 is currently represented by Rep. McClintock (R). The district includes El Dorado, Lassen, Modoc, Nevada, Placer, Plumas, and Sierra counties plus portions of Butte and Sacramento counties. Interested in attending events like this? Sign up for our mailing list or like our Facebook page!